About 200 people packed into the Holland Bloorview Kids Rehabilitation Hospital on the evening of Oct. 17 to receive a special treatment — the red carpet treatment. Former NHL stars Tie Domi and Paul Coffey joined the guests at the Able Artists Auction, an event where paintings by 42 children with disabilities from Sunny View Public School were auctioned off to raise money for the school. Jonas ‘The Monster’ Gustavsson showed up with his best performance in net so far this season as the Toronto Maple Leafs edged the Pittsburgh Penguins Saturday evening at the Air Canada Centre by a score of 4-3. Dion Phaneuf logged over 27 minutes of icetime on defence. Jonas ‘The Monster’ Gustavsson showed up with his best performance in net so far this season as the Toronto Maple Leafs edged the Pittsburgh Penguins Saturday evening at the Air Canada Centre by a score of 4-3. Gustavsson made numerous highlight reel saves to secure the victory, robbing both James Neal and Steve Sullivan point blank. 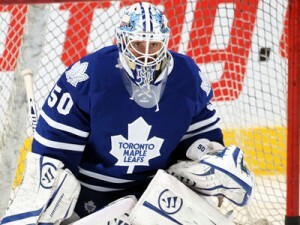 He’s been playing as the mainstay for the past week since James Reimer went down to injury against Boston. Reimer has been cleared to resume playing, but will miss at least one more game until he gets more practice time in. The Toronto Maple Leafs' Mikhail Grabovski battles with the Pittsburgh Penguins' Craig Adams (left) and Matt Niskanen. No Sidney Crosby. No Jordan Staal. And yet the Pittsburgh Penguins still had one very special weapon – Evgeni Malkin. 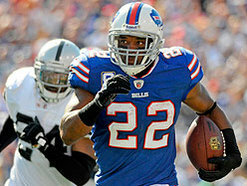 The man assigned to shut him down was none other than Mikhail Grabovski. Most people consider Grabovski something of an offensive force, but on this night, it was his defensive skills that were being called into action. Check the final tally and you’ll discover both Malkin and Grabovski concluded the game with a goal and an assist. However, Grabovski was plus-1 and Malkin was minus-1. If I told you the Toronto Maple Leafs’ best all-around player last season was a five-foot-11, sublimely skilled forward tough (and some might say bull-headed) enough to absorb huge hits from Zdeno Chara and come back the same night to score the game-winner, you’d be forgiven for fantasizing that former captain Doug Gilmour had come back for one more kick at the NHL can. However, the aforementioned player isn’t the man once hailed as ‘Killer.’ Rather, it’s centre Mikhail Grabovski — a Belarusian born in Germany and apparently raised by a pack of very fast skaters — who has shown himself to be deadly on the ice. And for the Leafs to make the playoffs, they’ll need the 27-year-old to at least replicate the 29-goal, 58-point totals he posted last season. But it would be nice to see Torontonians embrace Grabovski’s talent and spirit a little more than they do at present. 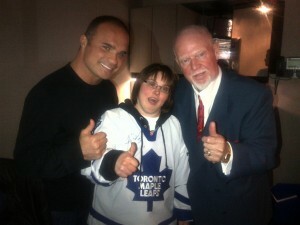 Hockey fans in this city usually direct their affection to the blue-collar, hard-working type personified by Tie Domi. He is part Matt Bonner, part Tie Domi, part Wendel Clark, part Pinball Clemens, part George Chuvalo, everything Toronto admires in its athletes. All from a back who has spent his entire football life running against the wind, defying odds, now making a difference on a winning team in the National Football League. Remember the goal Teemu Selanne scored against the Quebec Nordiques’ Stephane Fiset to break Mike Bossy’s record for most goals by a rookie in 1993? 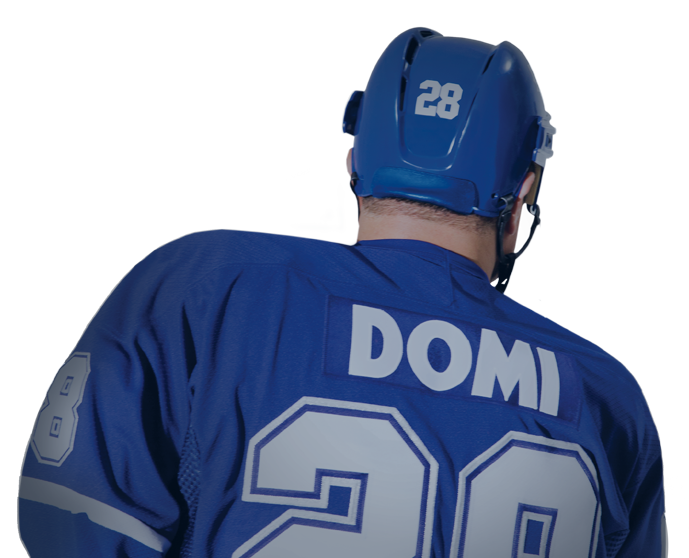 When he went after a loose puck Tie Domi had sent to the neutral zone, and flipped it over Fiset with one hand? Oh, and the one he scored to tie that game, when he grabbed the puck behind the net when Darrin Shannon’s shot had gone wide, went around the net, sent it in with a wraparound? For more than 25 years, hockey fans have wondered how they would look playing on Mario Lemieux’s wing. Well, 60 lucky fans may get the opportunity to turn that fantasy to a reality this January, when Lemieux hosts the first-ever Mario Lemieux Fantasy Camp. The camp will be held Jan. 4-8 in Pittsburgh, and feature a tournament with the consolation and championship games being played at Consol Energy Center, home of the Pittsburgh Penguins. 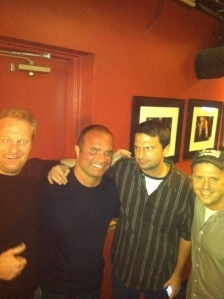 Much to my chagrin, I have to admit that Tie Domi — my former Patrick Division arch nemesis — was an exceptionally nice fella when he paid a visit to ‘Jimmy Kimmel Live’. Pictured here with me, Cousin Sal and infamous ne’er-do-well Randy, Tie shared tales about his days of standing drinks with Mark Wahlberg and Mike Tyson in Manhattan’s China Club back in the early ’90s. He also talked about his close friendship with the greatest player in the history of puck, Mario Lemieux… a relationship that prevented me from dropping the gloves for a round of fisticuffs.